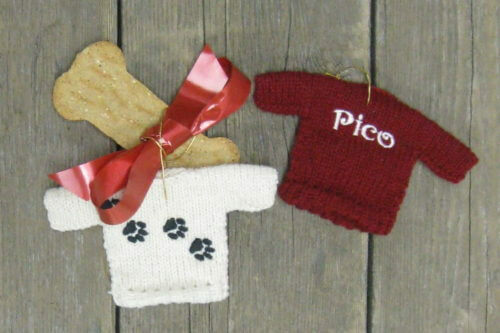 How about a sweater ornament for your pet? Hey, they like Christmas, too! Paw prints on one side and your pet’s name on the other. Comes with a stretchy gold loop for hanging.